Donate today and help create magic for more than 11,000 children. Our beloved Professional Board. You will never find a more passionate group of drivers and over-achievers. Open Heart Magic is a proven leader in nonprofit operations. Our success is fueled by creative thinking, strategic planning, a lean operating staff, and an engaged community of supporters and volunteers. The work of our Professional Board is critical to our mission of reaching more sick kids every year. These dedicated professionals leverage their business networks to build awareness and raise funds for Open Heart Magic. Use your networks for good on The Professional Board. The Professional Board members direct their energy towards a greater good. Their ability to think outside the box and push the envelope has taken Open Heart Magic’s impact to new heights. Every Board member is actively involved in shaping initiatives, leading and collaborating on projects, and having an awesome time with passionate people who quickly become close friends. We understand that your time is valuable. By staying focused on the tasks at hand, the Professional Board is able to meet just once per month. These meetings pave the way for work by committees and give members the direction they need to help Open Heart Magic reach its goals. Strategy brainstorming and event planning has never been this much fun! Serving on the Professional Board isn’t right for everyone; there are many other ways to support Open Heart Magic. The members of our Professional Board are passionate, driven and committed to Open Heart Magic’s success. They tend to be great at multi-tasking — keeping our agendas on track and our meetings focused. We meet individually with each prospective Board member to be sure it is a mutually good fit. This is a group that loves to have fun. One reason the OHM Professional Board is so productive is that its members become good friends. And fundraising with friends is simply more fun. 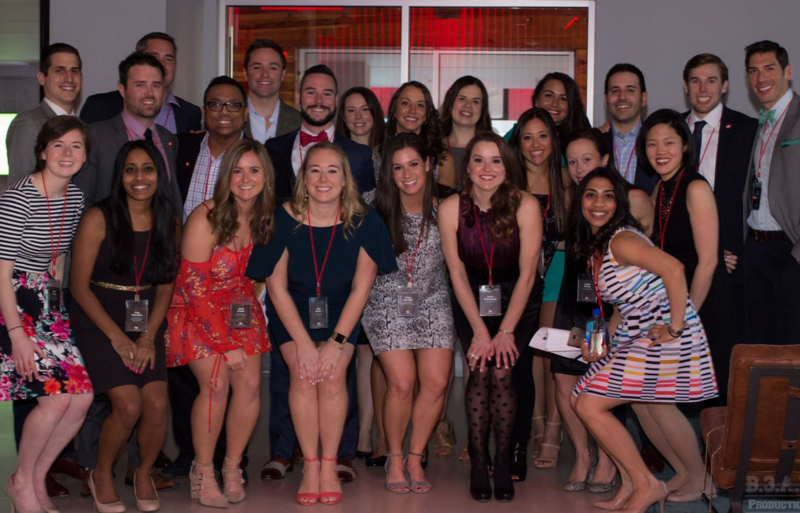 Our Professional Board members have kickball and volleyball teams; are a Charity Partner with the LTS (Live To Support) charity sports league; hold quarterly social events; have an infamous post-Benefit Success Celebration; and support and attend each other’s charity events. Open Heart Magic’s hospital programs have doubled and tripled in size over the past few years — even being launched in two new states. Our Professional Board is setting us up for long-term success by organizing our Annual Benefit, a sold-out, 750-person gala to remember. Board members keep Open Heart Magic top of mind in their workplaces and circles of influence. Without the Professional Board, sick kids in hospitals would face a much, much tougher fight. If you feel your talents would be well suited for the Professional Board, please send an email and our President will be in touch. Learn new tricks. Sign up for our newsletter. Copyright 2019 by Open Heart Magic, a registered 501(c)(3) non-profit organization. All rights reserved.